No, not like that at all. The painful sound of other children at your back. And then, that you were waiting at all. When tired, elephants throw grass. Because of gravity and because of aerodynamics. It’s a distraction curing the illness of loss. Because of my liver and because of dehydration. A vertical void gapes and screams. For I also am a sentimentalist. 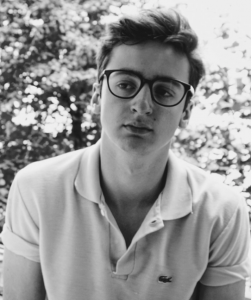 Isaiah Michalski is an aspiring writer and director from Berlin, Germany. He acts professionally in theatre and film (Anonymous, Closer To The Moon, The Physician). His political satire ‘Into The Haystack’ enjoyed a three day run at the English Theatre Berlin. In 2015 he co-founded a platform for young people from all over the world to present and practice writing in the English language (www.theyoungauthors.com). He is planning to start a BA in English Literature at a British university in 2017.